Deep in the heart of Fishtown is Loco Pez, a taqueria that serves up major flavor in the form of burritos, tacos, enchiladas, nachos, taco salad, and icy-cold margaritas. 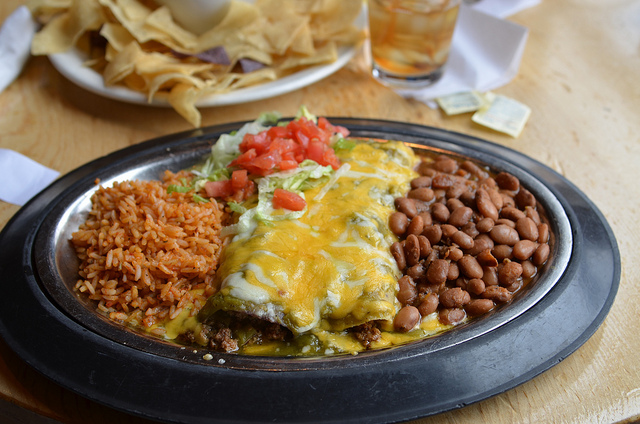 Loco Pez is open daily for lunch and dinner (during the weekdays) and brunch and dinner (during the weekends). The most popular night perhaps is $1 taco night, which is announced weekly on the restaurant's Facebook page. On a select night of the week, the restaurant offers $1 deals on all of its tacos, which range from vegan-friendly bites (soy chorizo, seitan, and spinach) to tacos for meat lovers (carne asada, shrimp, and chicken). Note that Loco Pez is cash only, but there is an ATM in the restaurant. The restaurant also offers a take-out beer fridge and take-out tacos and burritos!